Why do people buy things? What are the reasons and motivations behind purchase decisions that we all make all the time? Why do we buy things? And most importantly how can we use these insights in our own sales approach to get better results? I believe, it comes down to this: People buy with their hearts, not just their heads. Let's use the example of the simple pen. 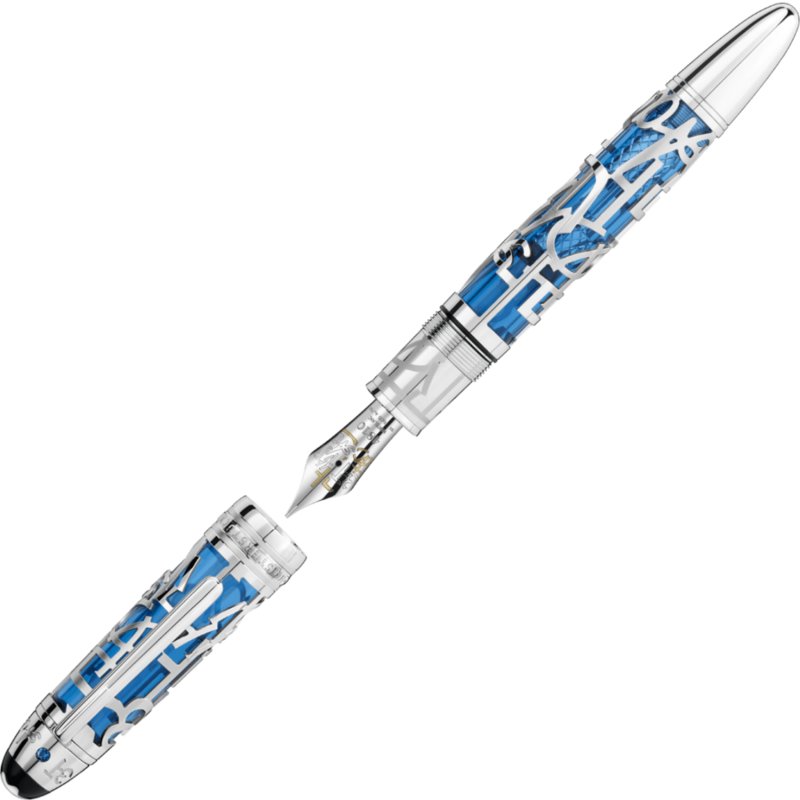 You may have heard of Mont Blanc, they sell luxury pens, such as the one below. Believe it or not, the most expensive pen currently on their website sells for over £7000. (Yes, that is the correct amounts of 0s!). Take a look yourself if you don't believe me. It made me chuckle when I read on their website that 'delivery is free' - I should think so when your spending £7000 on a pen! Now, seeing as you can buy a Bic ballpoint pen for pence (that essentially does the same thing), it is a wonder that Mont Blanc has a business at all. But - they do. And a very successful one at that. So how do they do it, and what can we learn from them? The main lesson here for us all to understand is 'how the customer thinks' and Mont Blanc are experts at this. What is the customer thought process when they decide to spend hundreds or thousands of pounds on a pen? It can’t be because they simply ‘need’ a pen - there must be something else at play. This is where ‘Heart Vs Head’ comes into the decision-making process. How does the service or product that you sell to someone make them FEEL? On a smaller (and possibly more relatable) scale let me use myself as an example. Occasionally, I will go shopping with Mrs W. and something will catch my eye - usually a shirt. I know that I don’t need a new shirt (I have plenty! ), but nevertheless, I’ll see a design I like that seems to speak to me, and I want to buy it. There is an important thing to point out here - a shirt is not a frivolous or useless purchase, it will get worn, and enjoyed, and may even glean the odd compliment! So to make the decision of whether to buy the shirt or not, my first drive is the emotion of the purchase - I really like it, it will make me feel good wearing it - this is my ‘heart’ decision. But I also know that it will go well with clothes I already own, I will get plenty of wear out of it, and it is at a price point I am happy with - the purchase feels logical. This is my ‘head’ decision. You need to appeal to both the heart and the head of your prospect to be successful in sales. If I loved the shirt but it wouldn’t go with my other clothes and I was a lot more expensive than I would usually like, then I may well have decided against the purchase even though my ‘heart’ wanted it. However, if the salesperson had asked me about what special event I was going to wear the shirt at and described how the shirt would make me feel as I walked into the event, then there is still a likelihood that I would buy it. Because they have described, and have enabled me to imagine, how the item would make me feel. The salesperson knows I have other shirts already and so I don't NEED the shirt, but they use emotion to make me WANT the shirt and it's this clever approach which we need to think about in our sales efforts. In sales, you have to tick both boxes. You must sell your service to your prospect’s head and their heart. You could tick all the boxes on a factual level, but if your service really doesn't make the buyer feel good then you are likely to be unsuccessful. I'm not sure any salesperson could convince me to buy the shirt below though! 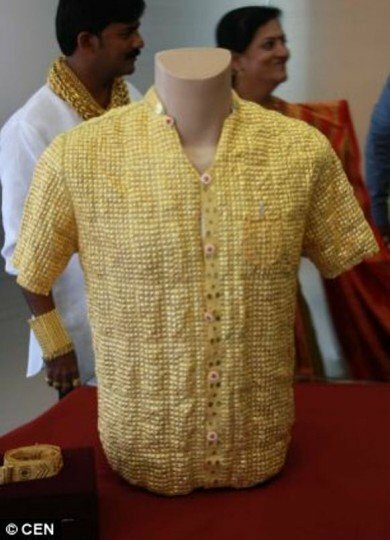 $250,000 for any shirt (yes that is a quarter of a million Dollars for 1 shirt!!) is madness if you ask me but it goes to show that people will buy anything if the item they purchase makes them feel good! Let’s face it, Mont Blanc have a very specific USP. They are selling a truly luxury item, that many people will never own. But that creates an air of exclusivity that is very desirable. To own a Mont Blanc pen is arguably a mark of success, and Mont Blanc themselves know that. They know that people don't buy Mont Blanc pen's just to write with. They buy the pen for the impression it gives and how it makes the buyer feel. That is exactly their marketing approach - they know how these small signs of success can make someone feel. Using the emotional value of their brand is exactly how they can charge so much for a pen (or ‘writing instrument’ as they are referred to on their website!). As well as having the emotional aspect covered, they are also covering the logical decision making process too, because after all, we all need pens! How can we relate this back to our businesses? The key for us all to do on a regular basis is really think about why people buy our service. What really makes the switch go on in their head to say yes to you and your company? How do you appeal to your prospect's heart and head? Over the next week, why not try to think about the services you offer, and if you are appealing to both the heart and the head of your prospects. Ask yourself the following questions and be honest with the answers you get. How could you change things to build a more emotional connection with your prospects? What are the emotions your customers feel once they have made a purchase? Does your product or service help them reduce worry or help them sleep better at night? 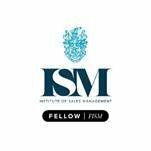 Does your service help them impress others? Does your service give them protection? Maybe you appeal to the emotional side of your prospect’s brain but you don't show them how you achieve those emotional feelings; which means they don't believe what you say? Do you appeal emotionally to your prospects but fail to convince the factual part of their brain? Can you show them how you deliver on the promises you make? Spend a few moments really thinking about what it is you do and how you really make your customers feel when they work with you. I spend a lot of time working with my customers discussing the impact their service has with their customers, so they can adjust their approach to engaging with new prospects. Getting to the bottom of this and really understanding 'how your target market feels' about what you do is vital for consistent sales success. My video ‘4 Ways To Create Urgency in Sales’ will really help you move your prospects along the sales process. 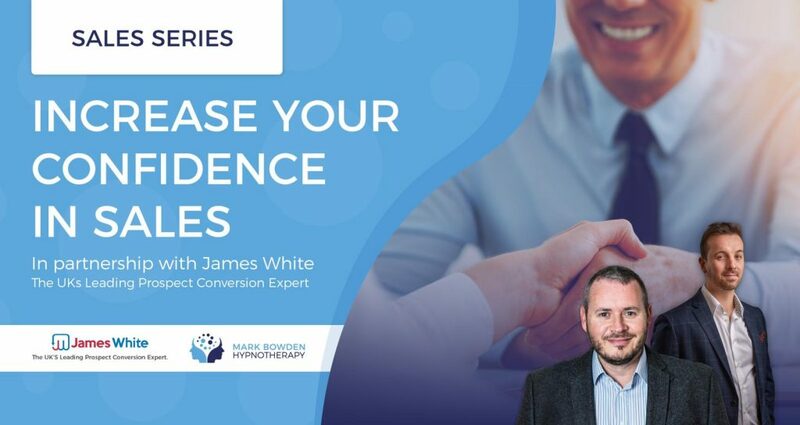 Whilst you’re over on YouTube, think about subscribing to my channel to make sure you never miss out on my weekly video, packed full of expert advice and guidance on increasing sales. Let me know of any success stories you have of finding your way into the ‘hearts and minds’ of your prospects, or contact me if you have any questions. If you haven’t already done so, give my Sales Success Test a go - I know a lot of you have and you tell me you find it very useful! 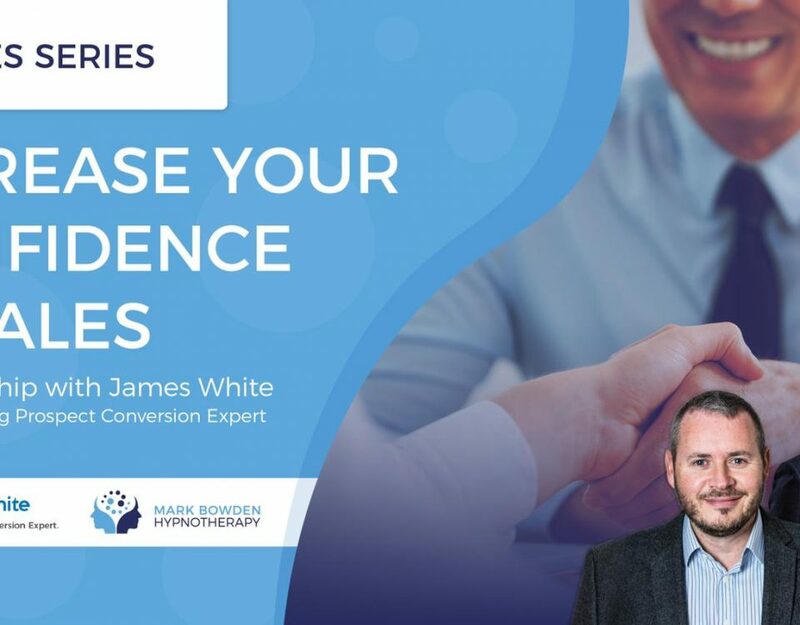 James White is the UK’s leading prospect conversion expert. He understands what it takes to convert leads into real business within the modern digital era and what it takes to achieve business success.